TakeCare’s medicine module is a function for the aggregate processing of pharmaceutical information. It follows the patient’s care pathway through all types of care. It includes support from Sweden’s pharmaceutical registry (FASS), prescription templates, recommended medicines, an interaction registry, etc., for writing prescriptions. The pharmaceutical record presents the patient’s combined prescriptions and administering of pharmaceutical products. The pharmaceutical record is made up of various views which show prescriptions according to different process steps. The list of pharmaceutical products is a view showing all of the patient’s current prescriptions. The time overview shows how a prescription has changed or will change over time. Measurement data, chemical lab data and a temperature graph can be presented in relation to prescriptions. This provides a good overview of changes in doses and how these changes have affected the patient. 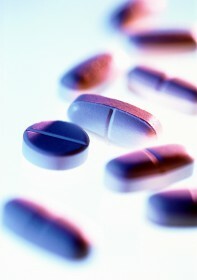 The prescriptions listed in the patient’s pharmaceutical record are used as the basis for writing prescriptions. With the support of an already prescribed medicine, it is easy to create a new prescription. The prescription can be sent electronically or be printed on a prescription form. There is also a function for the easy renewal of prescriptions. A popular function which substantially improves patient safety is the dose dispensing function. The patient’s prescription is used for electronically ordering prepacked doses that are delivered directly to the care unit and given to the patient. Once a medicine has been prescribed, the care staff can easily follow the process of administering a medicine to a patient via an administering overview. For infusions, there is separate support for handling the start, reporting, pausing and final reporting of the infusion. “Prescription” is very flexible. Lots of combinations are possible to match meet all types of prescription needs in institutional and non-institutional care, emergency treatment and primary health care. The Prescription function manages things like mixtures, dilutions and standard solutions. It is possible to have differing doses for different days and varying frequency. The prescriptions can comprise different types, such as regular, random, scheduled and as required. The person prescribing and/or administering medicine has access to a number of different supports for writing prescriptions. The system emits an alarm for instance if a patient is hypersensitive to a specific medicine or is already being medicated with a similar preparation. Prescription templates (favourite prescriptions) simplify and standardise the prescribing of new medicine. The system is integrated with prescribing services like FASS, SIL, Janus, drug-interaction warning, recommended medicine, etc. A problem shared by all county councils are medical records systems that do not send an alarm or alert if someone is in the process of administering the wrong dosage of a medicine. Although no medical records system has been able to resolve this up to now, this problem has been solved by the TakeCare EMR system. Together with the Astrid Lindgren Children’s Hospital, CGM has developed a function called “Probability Control” which means that a warning will appear if a doctor prescribes a dose that is outside the probability intervals. The function also involves increased support for the prescription process by making it possible to prescribe according to mg/kg bodyweight or in the amount of an active substance.